Ladies and Gentlemen, Dionne Warwick! Doozy Cards has been blessed to have music legend Dionne Warwick compose songs and narrate some of our ecards. This includes the cute and hilarious birthday tale of Chester the Chipmunk and Dionne's voice makes it absolutely delightful. 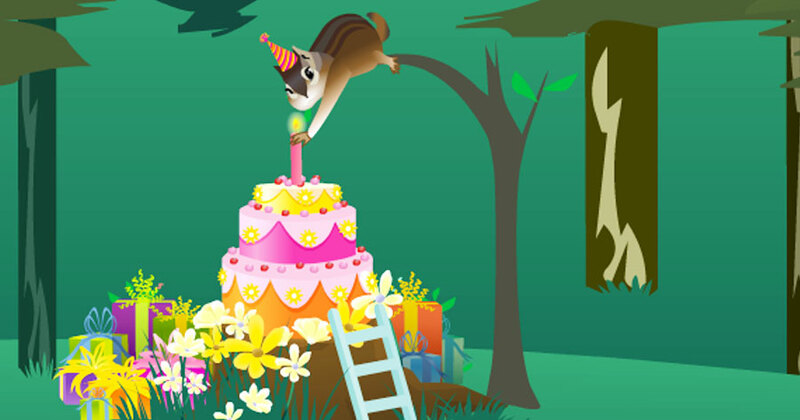 Taking place in a scenic forest, Chester the Chipmunk busies himself decorating what becomes an exquisite birthday cake. And he really takes his time and applies himself to make the cake absolutely splendid. Little does he know that the branch he is hanging will bring a bit of an "airborne" element which will amuse the recipient of this birthday ecard! And that cake... how about a good slice hmmm?